How does a spy phone work? How can I turn a mobile phone in a remote transmitting device? How to record calls from a mobile phone? Can I use the same software on more than one phone? How much does a spy software cost? How long does the spy software last on a cellphone? Can I install the spy software via text message? Do I need root privileges to fully use the software? What phone models are supporting the spy software? My partner is very privacy-conscious with mobile phone calls, maybe he or she is hiding something? How to install the spy phone app? How can I understand if I am being spied? There are several Spy Phones on the market, what makes your Spy Software different? Q.: How does a spy phone work? A.: The spy app allows you to get all the useful information from the spy phone controlled. Q.: How can I turn a mobile phone in a remote transmitting device? A.: A spy cell phone can also work like a professional bug transmitter if necessary. In addition, the user will conveniently trust in a full charged battery, so as to always be in the right place at the right time. For more info, just visit the details page. Q.: How to record calls from a mobile phone? 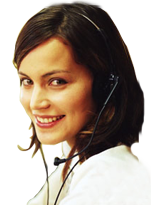 A.: All incoming or outgoing calls are automatically recorded and stored on a control server, without any user concern. For further information visit the call recording features page. Q.: Can I use the same software on more than one phone? A.: Unfortunately you can't, because the software is strictly connected to the IMEI number of the handset on which has been installed. Anyway in particular circumstances license changes may be made..
Q.: How much does a spy software cost? A.: The right price to get the right informations. Go ask for more details by simply filling out our Contact Form. Q.: How long does the spy software last on a cellphone? A.: The cell phone spy software ensures one year access to the web platform control; however, after this period, you won't need to get hold of the monitored phone, but you can just simply re-activate the accessing license to the web platform. Q.: Can I install the spy software via text message? A.: Yes it's possible by sending a simple SMS text message containing a link to download the file. Actually the software can be send to the phone in many other ways. Q.: Do I need root privileges to fully use the software? A.: You don't because our software does not need root privileges to work, also when it spies third-party softwares like WhatsApp, Facebook ecc. Q.: What phone models are supporting the spy software? A.: The spy software can be installed on any mobile phone using Android, Blackberry and iPhone Apple iOS (this latter needs jailbreak). Q.: My partner is very privacy-conscious with mobile phone calls, maybe he or she is hiding something? Q.: How to install the spy phone app? A.: Spy software must be installed manually, therefore this means that you must be able to get hold of the phone on which you wish to install it, for a couple of minutes only or less. Q.: How can I understand if I am being spied? Q.: There are several Spy Phones on the market, what makes your Spy Software different? 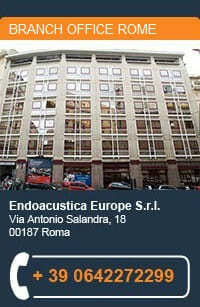 A.: Endoacustica Europe is working in the Spy Phones field since 1992, a time when the concept of "spy software" this not exist yet, and a spy cellphone had to be modified in its hardware. Along with almost 20 years of experience in this segment, we can rely on a team of developers, working on all platforms currently used in mobile phone technology Android, Blackberry, iPhone always up to date and active in researching new hardware and software solutions. 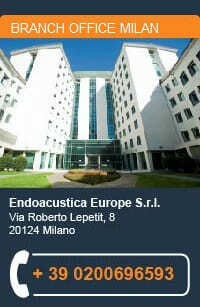 We can provide assistance and support by phone, online via Skype and face to face in our Italian office. We are a company with a REAL address, not just virtual. Beware of dealers who do not provide a real address, as they might be fooling you! The spy mobile phone market is a very particular segment, in which quite often the price of devices and software which at a first glance look exactly the same, might very dramatically depending on the dealer of your choice. We are talking about quite expensive devices and software, but this cost is also a guarantee that you will get the best performance, and the reason behind the difference in prices between apparently equal models is caused by this aspect. In fact, not all spy software to be installed on your mobile phone are the same, and like it or not, those which are sold cheaper will also show a lower performance quality.